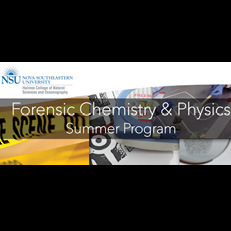 Registration is now open for the Forensic Chemistry and Physics Summer Program hosted by the Nova Southeastern University’s Department of Chemistry and Physics from June 19 until June 23, 2017. This intensive one week program is open to high school students who are naturally curious and have a mind for analytics. 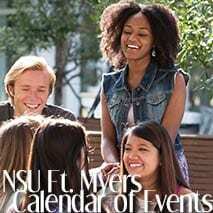 It focuses on hands-on experience in our chemistry and physics laboratory facilities housed at NSU’s Fort Lauderdale/Davie campus. 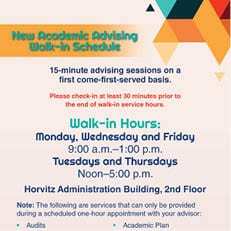 Daily meetings are from 9am to 3pm. 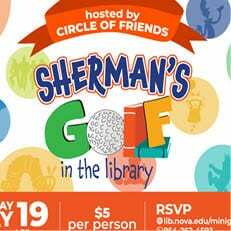 or Dr. Reza Razeghifard, Department Chair at 954-262-7930/email razeghif@nova.edu.